This is the 36th year of the JAPAN Festival, an annual celebration of Japanese culture and its intersection with New York. 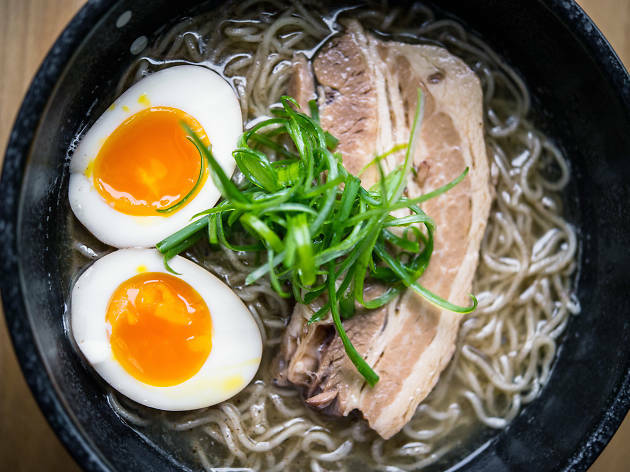 There are precisely two reasons you should definitely check it out next week: ramen and more ramen. JAPAN Fes will include not one but two nights where you can get your fill of these spectacular noodles. After the first fest, you can go back and gobble up some more Japanese food the next day. 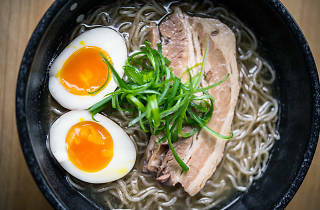 On Sunday October 16, the Fall Fes & Ramen Competition will be held on the Upper West Side from 10am to 6pm and will conclude with the attendees voting on the best bowl served that day. To try some yourself, stop by Broadway between 92nd and 94th Streets. Then, on Monday October 17, the Japan Fes Midtown Bazaar will be at 4 West 43rd Street from 11am to 9pm. The competitors from the day prior will be selling bowls of their ramen for an easy five bucks each. There will also be sake and beer to drink, performances to watch and more ramen to devour, of course. The polls are open! Vote for your favorite spots that deserve a Love New York Award. John is a writer based in New York who enjoys silent as well as regular discos. Follow him down alleyways, or on Twitter @brunodionmarsh.